TO LET – TWO BEDROOM MODERN SEMI DETACHED HOUSE IN THE PARISH OF WALSOKEN. The property comprises of an entrance hall, lounge, kitchen, cloakroom, stairs and landing, two bedrooms and a bathroom. To the exterior there is parking space for two cars and a fully enclosed low maintenance garden. 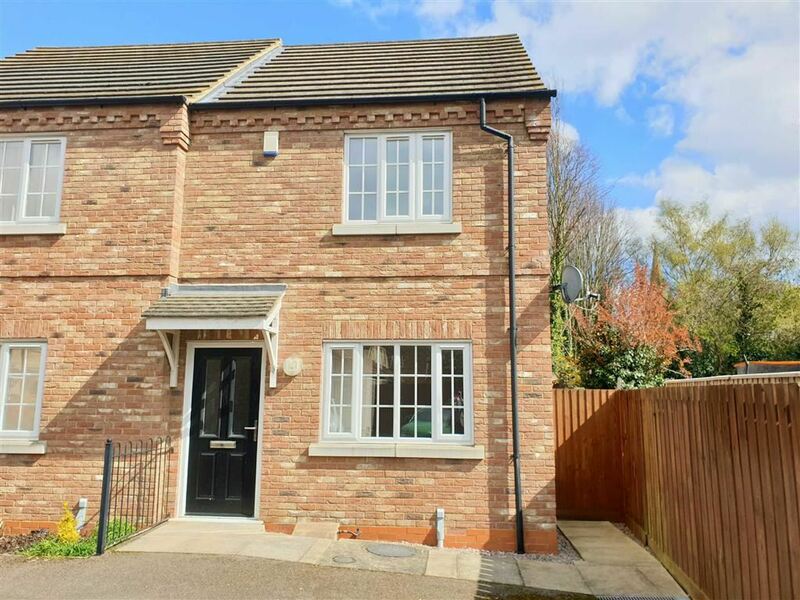 The property benefits from having a gas combi boiler, Upvc double glazing and having easy access onto the A47 with direct links to Kings Lynn and Peterborough. Available immediately. 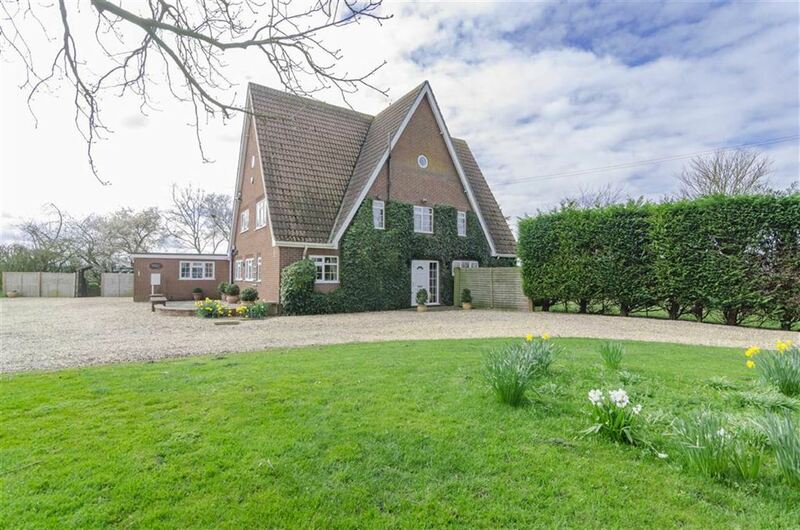 TO RENT – Three bedroom detached house in the village of Langtoft. The accommodation briefly comprises: Entrance hall, kitchen/diner, lounge, utility room, cloakroom, master bedroom with ensuite, two further bedrooms. Outside there are gardens to front and rear and a single garage. OPEN VIEWS TO REAR DONT MISS OUT! MORE PHOTOS COMMING SOON! 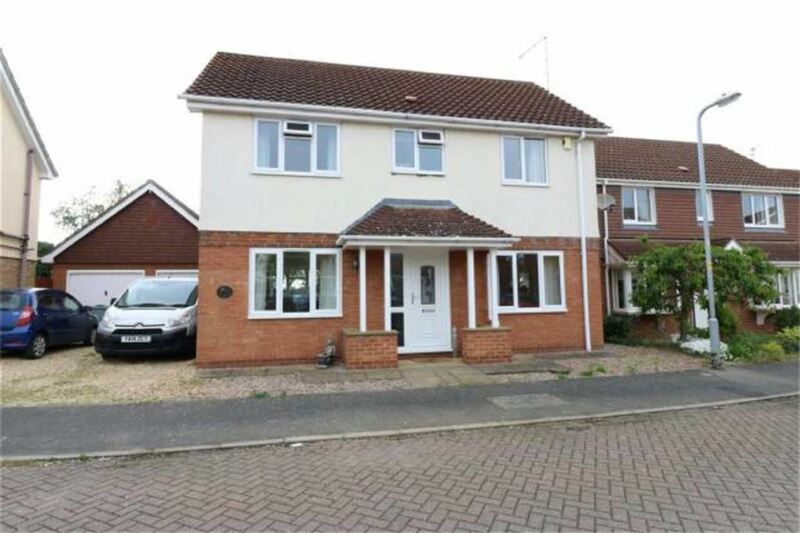 Situated in a popular location close to the town centre with amenities and schools close by. The accommodation comprises of a kitchen, separate dining with stairs leading off to the first floor, lounge, landing, two double bedrooms and a bathroom. The property benefits from a generous rear garden. A great first time purchase or ideal investment opportunity! ONE BEDROOM FLAT NEAR THE SPALDING TOWN CENTRE, DOUBLE BEDROOM, LARGE LIVING AREA, PARKING TO THE REAR, GAS HEATING!! A bright and well presented one bedroom flat situated in the heart of Spalding Town. Accommodation comprises a large lounge / kitchen breakfast room, storage area, one bedroom and a bathroom. The property benefits from an allocated parking space to the rear. Available immediately. Call Ark property centre today to book your viewing!! TWO BEDROOM SEMI DETACHED COTTAGE WITH GOOD SIZE REAR GARDEN. 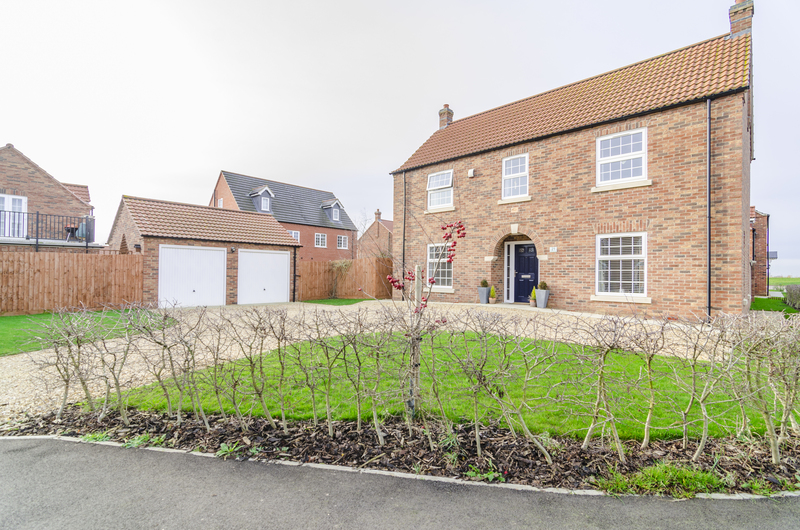 Situated not to far from the market town of Holbeach. Ideal first time or investment purchase. The ground floor of the property comprises of living room, kitchen/breakfast and bathroom. With the first floor comprising of two bedrooms with the master benefiting from ensuite. The rear of the property has a good size garden mainly laid to lawn. 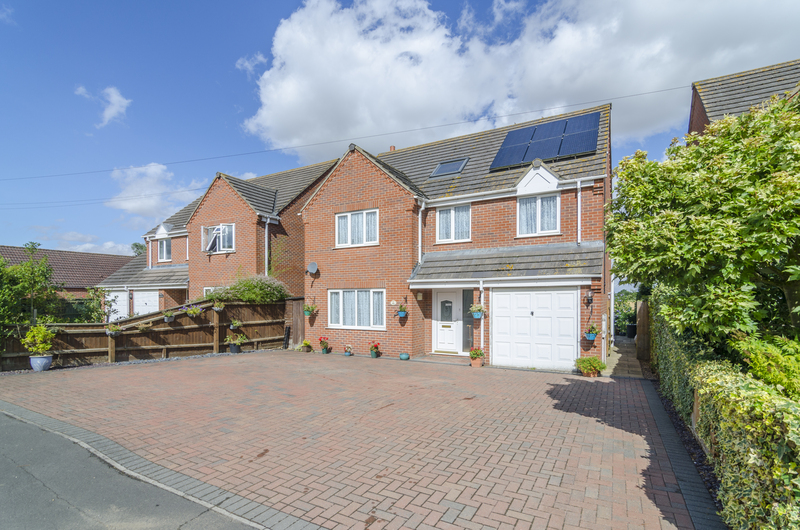 Located on the outskirts of Spalding with easy road links to the A16 and Spalding Town Centre. The bungalow comprises of entrance hallway, living room, dining room, kitchen breakfast with pantry and utility/play room, modern three piece bathroom suite, master bedroom with fitted wardrobes, bedroom two with door through to dresser/study and attic which can be turned into a third bedroom subject to the correct planning. Externally, the front of the property provides ample off road parking with access to the single garage and the rear being fully enclosed, low maintenance, mainly gravelled with paved area ideal for seating and entertaining. This immaculate family home set in the popular village of Pinchbeck offers a great size family home inside and out and benefits from a large established garden enclosed by mature trees, shrubs and planted borders. Internally the accommodation comprises of entrance hallway, living room, family room, dining room, kitchen, utility and cloakroom. The first floor comprises of a galleried landing overlooking the front garden, four good sized bedrooms and family bathroom. Externally, the front garden provides ample off road parking for numerous vehicles or caravan/trailer to the front, with side access. 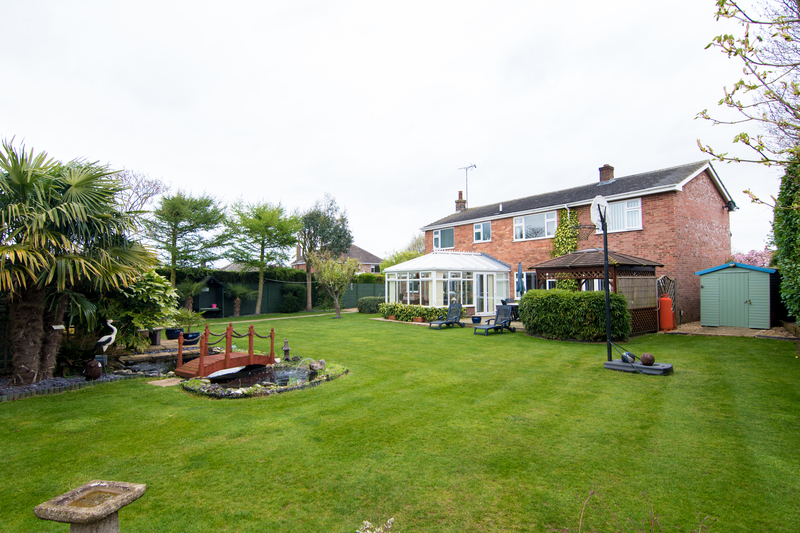 The rear garden is the ideal family space offering a large lawn area with space for trampoline, goalposts or paddling pools for the kids with a large raised decking area providing entertaining area for the adults! This is the perfect property for those looking for something individual with lots of outside space. 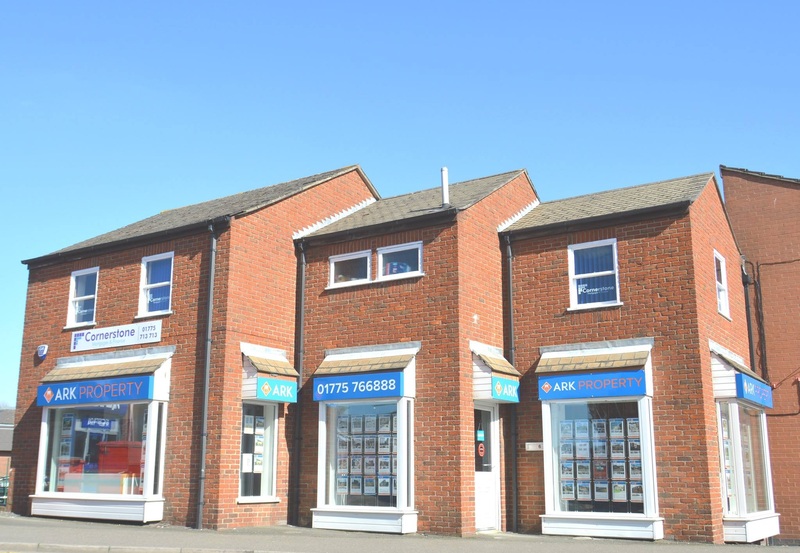 Situated in a popular location close to local schools and within easy access into the town centre with it’s great amenities. Full Planning Permission for an end terrace property with a unique layout. 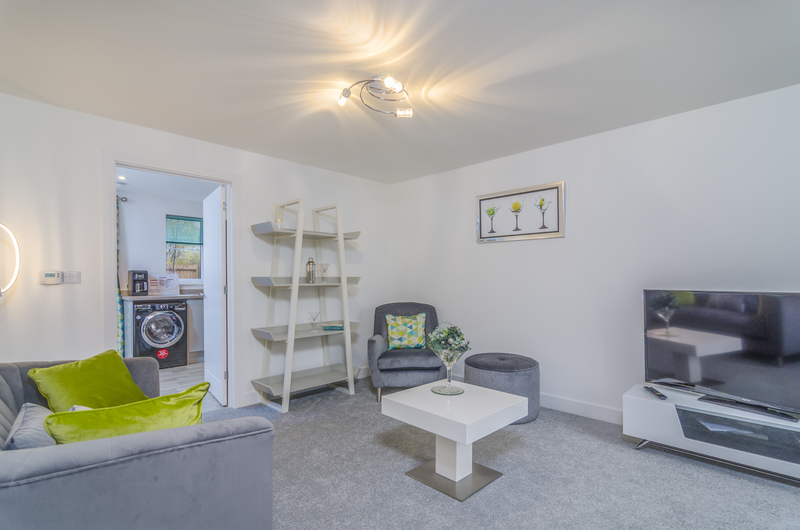 The ground floor accommodation comprises of an entrance hall and utility and to the first floor there is an open plan kitchen/diner/lounge, one bedroom and a shower room. The property benefits from an integral garage. Grovebeck Grange is a unique and distinctive property sitting on 1.2 acres of garden with spectacular 360 degree views. Individually designed by the current owners 40 years ago the accommodation has been carefully planned to offer a spacious family home over three floors. The hallway has a unique curved wall feature with wooden balustrade staircase which leads up to the first and second floors. 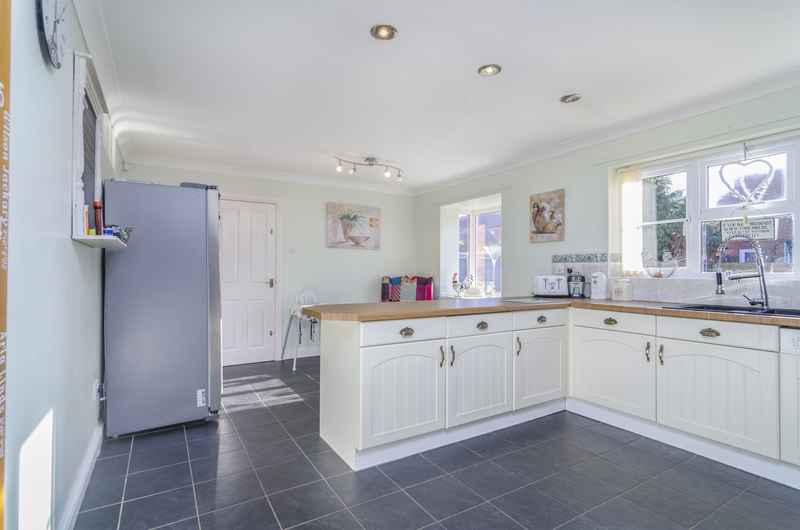 With doors off to the lounge, dining room, cloakroom and the country kitchen, the heart of the home, with inset Range and Italian Ceramic tiled flooring. The Sunroom wraps itself across the rear of the property with views overlooking the gardens. To the first floor there are three double bedrooms with en-suite to master and family bathroom, on the third floor two further bedrooms with quirky ‘porthole’ windows, sitting room, and bathroom. The gardens are laid to lawn with a selection of fig, chestnut and cherry trees, a wildlife pond and further gardens to the east of the property. 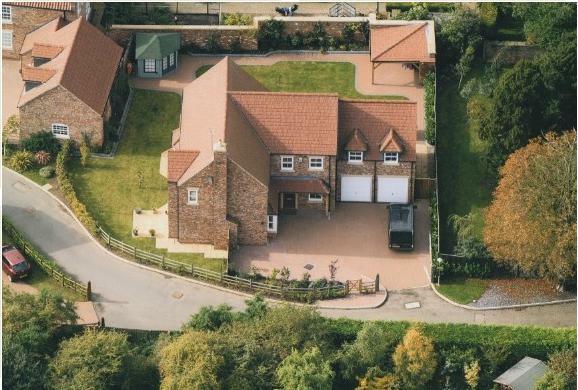 There is a traditional wooden glasshouse and a further detached tandem garage with home office or annexe potential (stp). The horseshoe driveway leads to the double garage and provides ample off road parking. This is the perfect home for those looking for something unique in a rural setting with no immediate neighbours. Pleasantly situated with the riverbank walk not too far away and within access to the town centre amenities and local schools, this superbly presented family home sure does have a lot to offer! A generous entrance hall welcomes you into the property which leads to a good sized lounge with glass panelled doors opening into the dining room letting in lots of natural light right the way through the house. 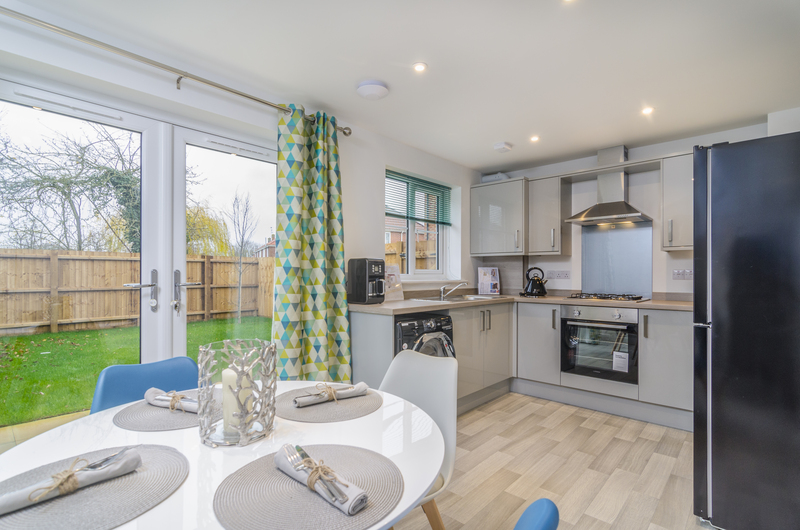 There is a kitchen diner, utility room, cloakroom, an additional study and the bonus of a family room – suitable for a variety of uses! The bright and airy first floor offers a spacious gallery style landing leading to four good size bedrooms, two of which have built-in wardrobes, two modern en-suites and a neutral family bathroom. Externally, the property benefits from a block paved driveway leading to the double garage and a well maintained rear garden to sit and enjoy the peaceful surroundings. Conveniently situated not too far from Spalding Town Centre’s local amenities and Spalding road links. The bungalow comprises of entrance hallway, living room with sliding doors into the conservatory, kitchen diner, utility room, master bedroom with en suite bathroom, two further bedrooms and family bathroom. Externally, the front of the property is welcomed by block paved driveway with access to the single garage. The rear is fully enclosed, laid to lawn with established borders and paved area ideal for seating and entertaining. Situated in a popular location close to local primary schools and within easy access into the town centre with it’s great amenities. Outline planning has been granted for a three bedroom semi detached property and a four bedroom semi detached. Call the team today for more information 01775 766888.